Anti-Corruption Commission (ACC) has made a statement saying that no corruption was involved in giving out flats during the government housing project in Hulhumale'. Following an investigation after a complaint was made to the ACC that the points system during the flat application process was tampered with, ACC said that after the application forms were accepted, a computer generated slip was given to each applicant. And the points on the slip is based on the application form and states that points may be amended when the documents are checked again. And so it is clear that the points mention on the computer generated slip is not the final points an applicant receives. ACC said that they noticed the points were changed by some of the people who filed the complaint because their living conditions changed after the forms were submitted. 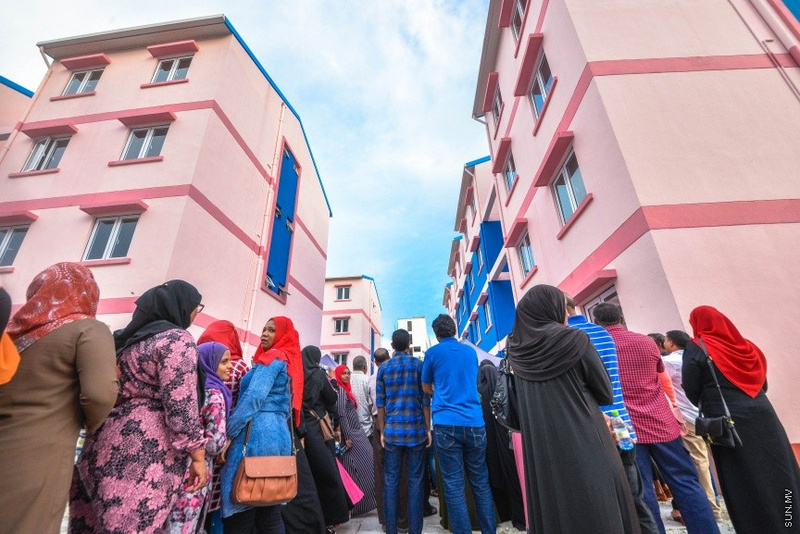 Furthermore, the ACC said that home evaluation visits were not made for some applicants because their residency was changed to abroad or in the atolls, change of address, changed or unreachable mobile numbers. And the Housing Ministry gave a second chance for those applicants by making an announcement for such people to contact the Ministry via a letter or a call to reschedule the evaluation visit. The ACC also noted that the complaints of those who did not get flats were investigated and their forms and living conditions were checked to see of any amendments were to be made and those who qualified for were given flats. "So, with insufficient evidence to prove corruption in this case, under the Anti-Corruption Law (2008/13)'s Article 25-A-1, it has been declared that no crime of corruption was involved in this case." The ACC statement said.